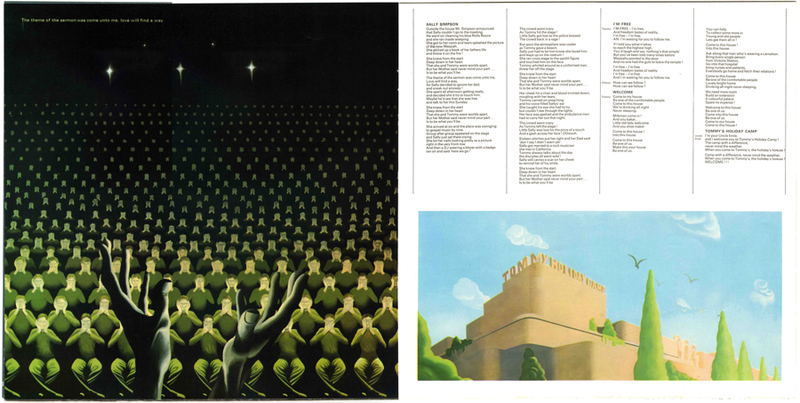 Selection of double spreads for the 12 page lyrics booklet that accompanies the album. The images continue to act as symbols for key moments in the story and follow the libretto more closely. The r/h image of window, candle and snow signifies the lonliness and longing expressed in the song Christmas. 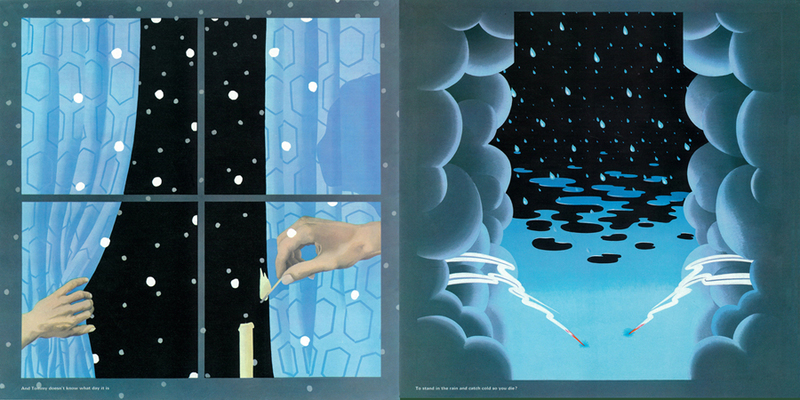 The l/h image with its formalised pattern of cloud and lightning uses weather as an analogy for the pain experienced by the principal character in the song Cousin Kevin. The image, full of tricks, is about an illusory drug state and illustrates the song ‘Acid Queen’. 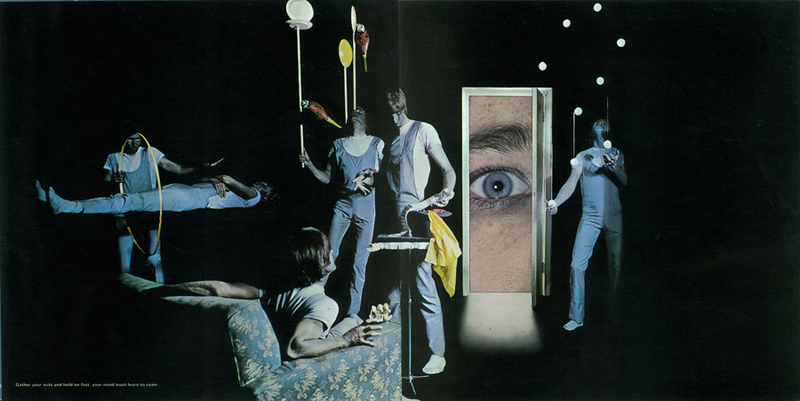 The image is about revelation, illustrating the song ‘Go to the Mirror Boy’. Images develop through the book towards the libretto’s cynical conclusion pictured in the formal pattern of an audience in a trance repeating, as a visual rhyme, the message see, hear and speak no evil. The final image is paced over two pictures, one on the inside back page and the other on the back page of the booklet illustrating the holiday Camp as a dream and a ruin as the dream is abandoned.